It's my 500th post! So, to demonstrate that this thing isn't always thrown together at the last moment, I'm going to break my own rule of only covering Geek Media issued between 1972 (the launch of THE MIGHTY WORLD OF MARVEL and the official birth of Marvel UK) and 1996 (when Marvel UK was taken over by Panini in a corporate restructuring at the House of Ideas) in order to cover something rather special: the first British Marvel strip! It's back to October 1966 (Starlogged's pre-history) and SMASH! issue 38. 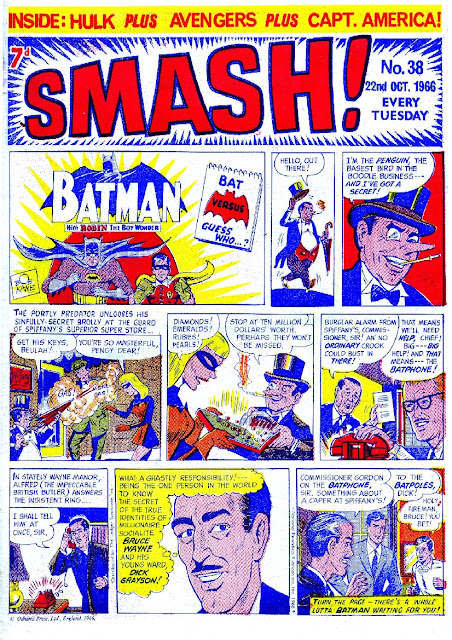 SMASH!, launched earlier in the year by Odhams, was a British weekly that combined original humour and adventure strips (Grimly Fiendish, Bad Penny, Rubberman, Swots and Blots) with US meta-human reprints: BATMAN (actually the TV-inspired US newspaper strip), THE AVENGERS and THE HULK. SMASH! marked, except for a few haphazard imports, the first chance most British kids had of seeing Marvel characters in action. But, what's really significant about the HULK strip above is that it's a Smash! exclusive. 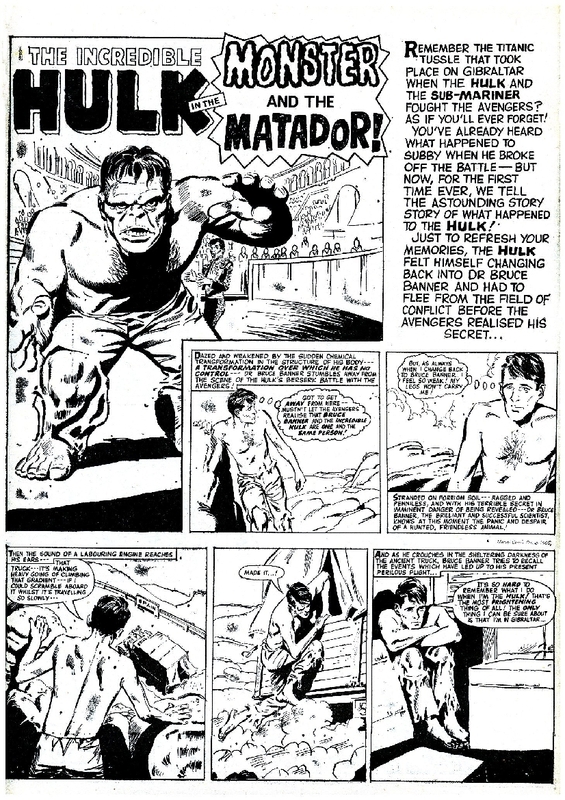 The reason for its creation (presumably some sort of deadline crunch) are lost, along with its creator, to the mists of history but it does mark the first Marvel comic strip created in the UK, beating the much-lauded debut of the HULK COMIC by some thirteen years. 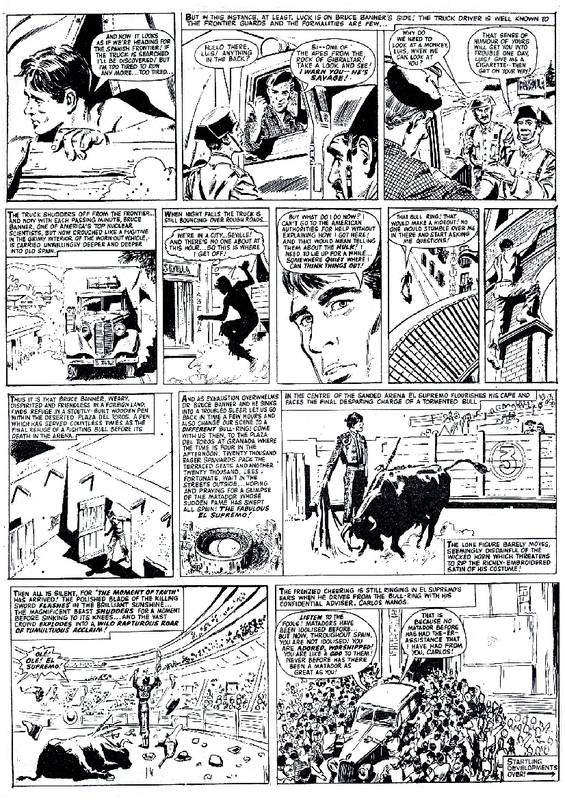 I reckon its probably also the first Marvel strip to be created anywhere that wasn't directly overseen by Smilin' Stan and the New York Bullpen. History made twice over. The Hulk strip runs for six pages, although I've only posted the first three. Marvel USA have announced plans (although they keep delaying them) to collect together the entire run of British Hulk strips, including this one, in a hardback volume. According to the latest listing on amazon.co.uk, its now due to be published in July 2013. Smash! launched in 1966 and spawned Odham's briefly successful POWER COMICS line, largely built around Marvel reprints. POW! launched in January 1967and included, from its first issue, SPIDER-MAN. It absorbed WHAM! from issue 53 and merged with SMASH! after 86 issues. WHAM! launched in 1964 as a rival to THE BEANO. However, it latterly added FANTASTIC FOUR reprints to the mix. It folded into POW! in 1968 after 187 issues. FANTASTIC launched in February 1967 and reprinted THOR, THE X-MEN and IRON MAN. It absorbed TERRIFIC, adding DOCTOR STRANGE and the AVENGERS. It merged with SMASH!, after 89 issues, in September 1968. Only the Thor strip continued. TERRIFIC was the least successful of the Power Comics line. Launched in April 1967, it barely scrapped into the following year. It merged with TERRIFIC after only 43 issues. The line-up included THE AVENGERS, DOCTOR STRANGE, SUB-MARINER and GIANT MAN. SMASH! continued as last-man-standing through to its merger with VALIANT in 1971, although the Marvel reprints were jettisoned (by new owner IPC, thanks to some corporate reshuffling of the ranks) in 1969. Even the venerable EAGLE, albeit well past its prime, added a cash-saving Marvel reprint in 1968: TALES OF ASGARD from THE MIGHTY THOR. The once-mighty TV21, by now devoid of any connection with Gerry Anderson, had added reprints of SPIDER-MAN, THE SILVER SURFER and Marvel's Western heroes by 1970. It merged with VALIANT the following year. 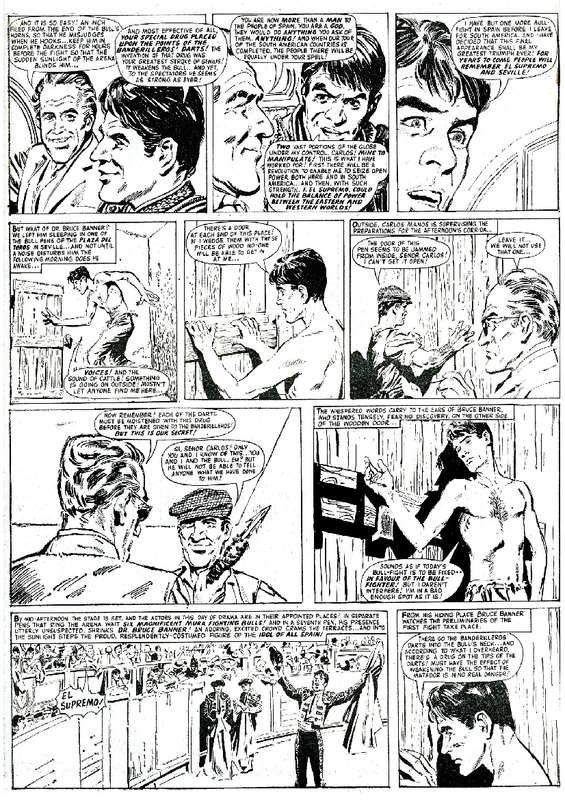 Marvel UK opened for business in 1972.